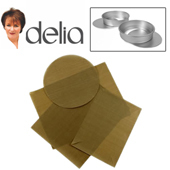 With Delia's new range of Silverwood Bakeware flying off the shelves at the moment, there's no doubt that Delia still has a massive following out there! With Delia's first new video recipe appearing on Delia Online, we thought we would give you a helping hand when it comes to baking Delia's Classic Sponge Cake Recipe. You can watch the video below and we've given you a full breakdown of Delia's recommended equipment, which should make your job in the kitchen that little bit easier! Episode 1: Classic Sponge Cake from Delia Online Cookery School. In this recipe Delia uses two of the 18cm Silverwood sponge tins from her new bakeware collection. These tins are perfectly sized for baking light and fluffy sponges and will last for many years of great baking in your kitchen at home. 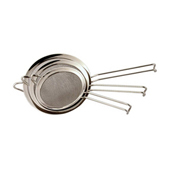 The Bake-O-Glide liners for the Delia sponge tin are perfectly cut to neatly fit into the base of these tins and help to prevent your freshly baked sponge from sticking to the base of your pan. These are sold in a pack of two, so you'll only need to buy one set of these for the two sponge tins used in this recipe. 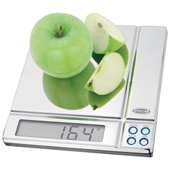 These Slimline Electronic Weighing Scales are a great set of scales for any keen baker at home. With an easy to use digital display, you can accurately measure out your ingredients for any of your favourite recipes, including Delia's recipe above for the classic sponge. This large plastic mixing bowl from Paderno is a great bowl for mixing ingredients in any kitchen. As Delia says, larger bowls allow for better aeration when mixing your ingredients for this classic sponge. 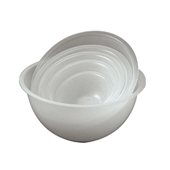 These mixing bowls are made from hard wearing polypropylene plastic meaning they won't dent, scratch, rust or chip! Make sure you sieve your flour and other ingredients just as Delia showed us in the video with this bowl sieve, helping to improve aeration and produce some wonderfully light and fluffy sponge cakes. 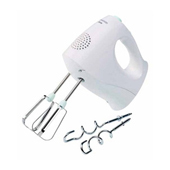 This Kenwood electric hand whisk takes all the hard work out of mixing your ingredients with a wooden spoon. Simply get your ingredients in the large plastic mixing bowl and let the electric whisk work it's magic in creating the perfect cake mix. Remember to place a tea-towel or piece of kitchen paper under the bowl to prevent it moving about too much! 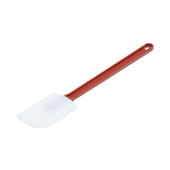 This high heat spatula is the perfect kitchen accessory for scraping every last bit of your cake batter from your mixing bowl and adding it to your cake tins for baking. 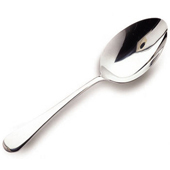 This large table spoon is normally used to serve vegetables or other foods during table service, but it makes for the perfect spoon for evenly spreading your cake mix throughout the sponge tins. 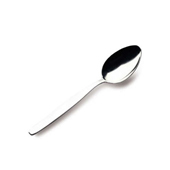 Delia uses a teaspoon for measuring out some of her ingredients in this recipe, so here you have it - the humble teaspoon. Make sure your baked sponge easily slides away from your tins by softly tracking around the edge of your sponge with this palette knife after it has finished baking. These palette knives are also great for spreading your cake mix throughout the tin before baking. When your sponge cake is finished and ready to serve, make sure you don't ruin it at the last minute by trying to cut it with a blunt knife. 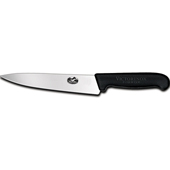 This Victorinox Cook's Knife is the perfect knife for easily slicing through your sponge cake, while it is also great for other food prep when you aren't baking! When your sponge cakes are baked, they will need to cool for a while to allow them to settle. These cooling racks are the perfect place to keep your sponges while they cool and remember you might need two of these to lift your sponges carefully as suggested by Delia in the video! 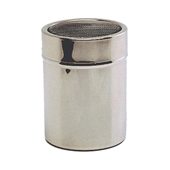 Lightly dust the top of your sponge with icing sugar with this icing sugar shaker. 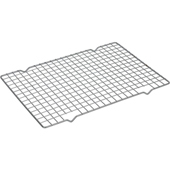 The fine mesh allows just the perfect amount of icing sugar to be neatly sprinkled over your baked sponge. 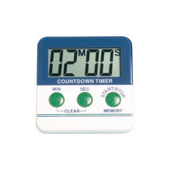 Make sure your baking is bang on time with this easy to use digital timer which allows you to track how long your sponge has been in the oven, down to the last second. Remember not to open the oven door until at least three quarters of the way through baking as any reduction in temperature could cause your sponge to sink! 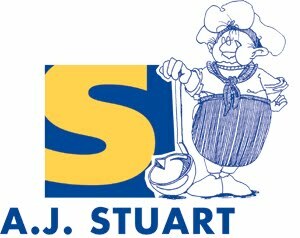 You can check out what other equipment options we have online at www.ajstuart.co.uk and if you have any questions at all, just give us a ring or drop us an email, you'll find all our contact details here. For more information, including ingredients and hints and tips, head on over to Delia Online and get the full low down on the Classic Sponge Cake recipe from Delia herself! 360 refrigeration selling restaurant equipment in Canada, Toronto.